I've always had a fascination with motocross helmets and their design. I had the opportunity to design the graphics for a helmet for a high school class. 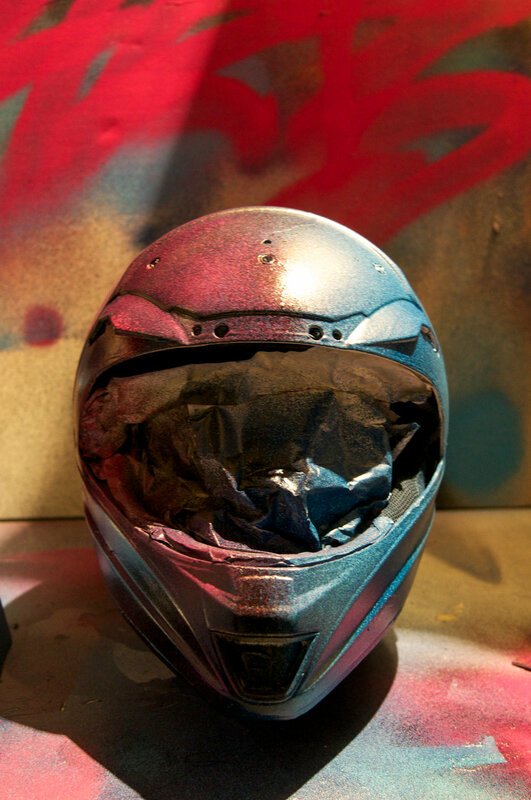 During the time of this project I had started spray painting on walls so I thought that I could incorporate spray paint into the design of my helmet.